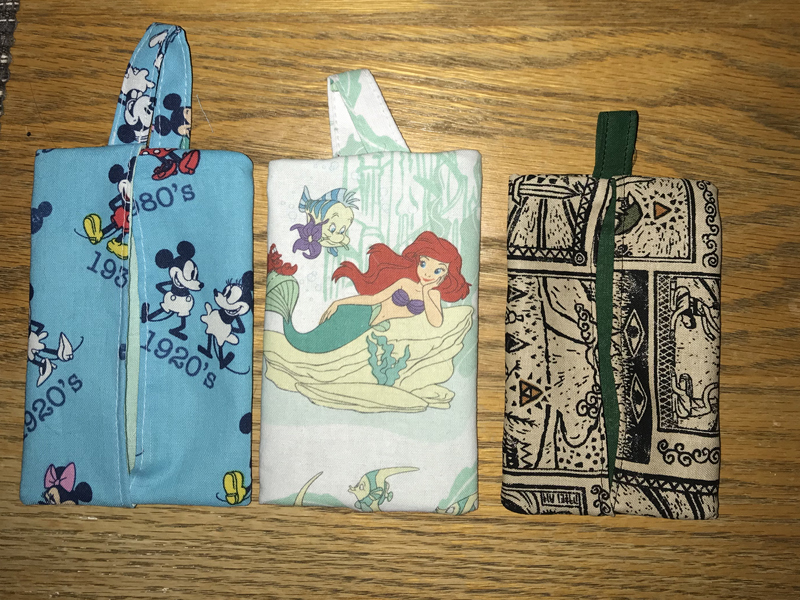 In case it wasn’t obvious with the first 2 scrap patterns I reviewed, I was looking for things I would personally make use of. This will of course vary for everyone, but I just figured I’d let you all know my mind set when I was finding projects so you have an idea of what’s to come. Today’s pattern is a travel tissue pouch that I had to dig up in a web archive as the original site long gone. You can find that archived pattern here, but I’m going to include more info since I don’t know how long that archive will last. I recommend saving the page if you want to follow the original pattern while you work. I even made into a pdf. The original credit for this pattern goes to So Sew Something. So first you’ll need to gather your materials All you need for this is just 2 pieces of scrap fabric measuring 6″x7″ and sewing thread. I decided to use a little extra fabric and add a loop so I can hang this from a purse or something in the future. I have it pinned just to mark placement as this does not get sewn on until much later. 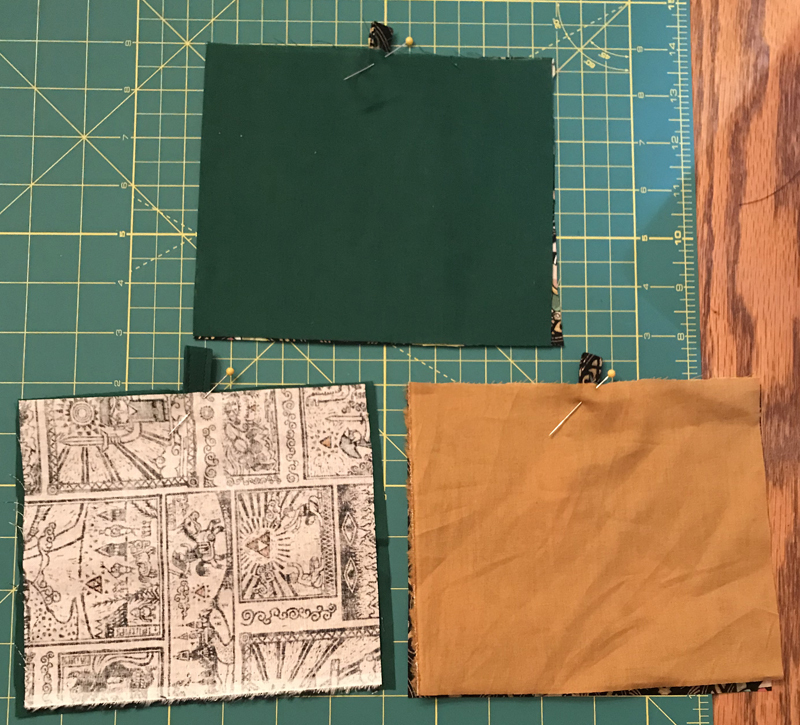 It’s made from a 2″ wide and 3″ long piece that I folded into quarters (with edges folded to meet in the middle and then folded in half) and then sewed around the edge of it to keep it together. 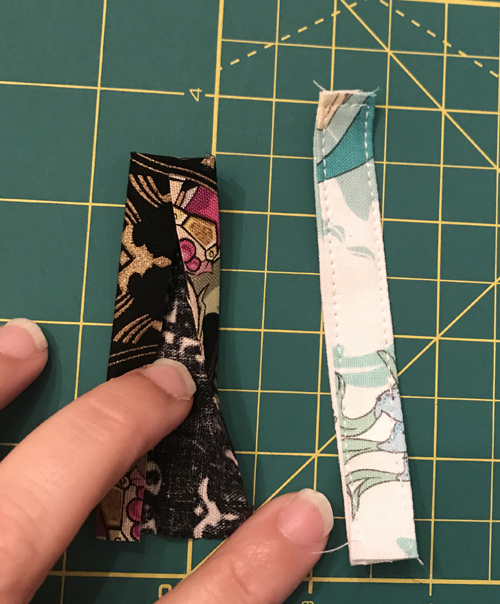 Just like last week’s pattern, you’ll want to place the right (aka printed) side of the fabric together and sew a 1/4″ seam around the edge. Start on the 7″ edge and leave a 3″ gap so you can turn it inside out. Once you’ve turned it inside out, push out all the corners (use a stick to help if needed) and press it with a hot iron. Now, with the fabric you want showing on top, fold the edges in so they meet evenly in the middle. (NOTE: If you want to add a loop like I did simply place the loop inside the pouch with the edge just visible at the top. I recommend using a pin to keep it in place until you sew it.) Yes this makes it seem like it will be inside, but it will not. Do another 1/4″ seam on the top and bottom now. This will be hard to do on the top if you added a loop since you’re going through so many layers. You may want a jean needle if you worry about the normal one breaking. I only use jean needles cause I mainly use my machine to sew through yarn and velcro, lol. 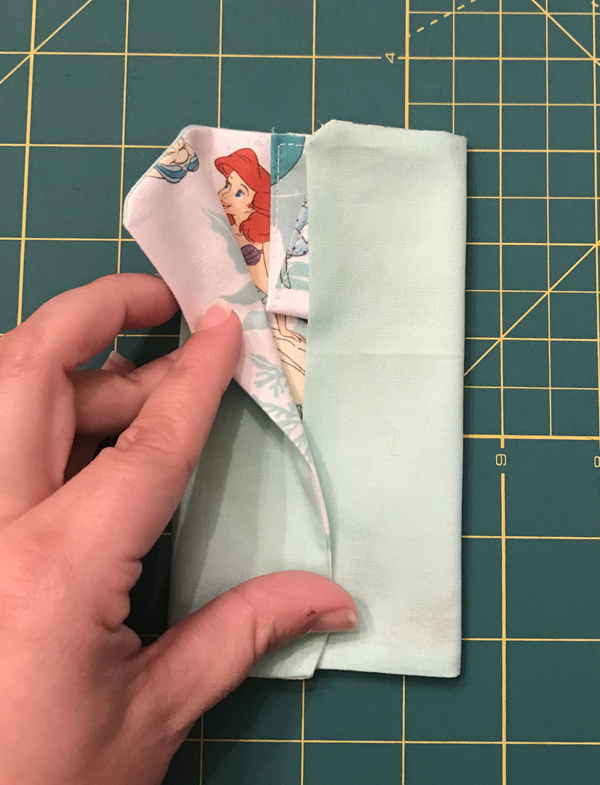 Anyway, once you’ve done your seam on both edges, turn your piece inside out once more, using your fingers to pop the corners out as you do. And you’re done! Now you’ll see the little line on mine at the opening but if you had your opening on the 7″ side you won’t have that. I did mine on the 6″ side for this first batch like the pattern said to do, and then had to add these lines to close up the hole. Hopefully my suffering will save you trouble in the end. 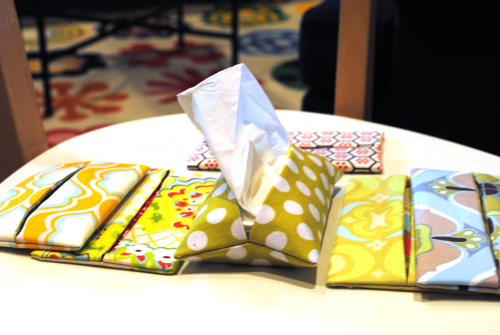 🙂 I also have my edges over lapping slightly to help cover the opening a bit since I won’t always have a pack of tissues and may just fold some up and put them in. You can add things like buttons to help keep it closed, but that’s beyond my skill right now, lol. Overall I think this is another great easy pattern. Probably on par with the cord keeper one from last week. 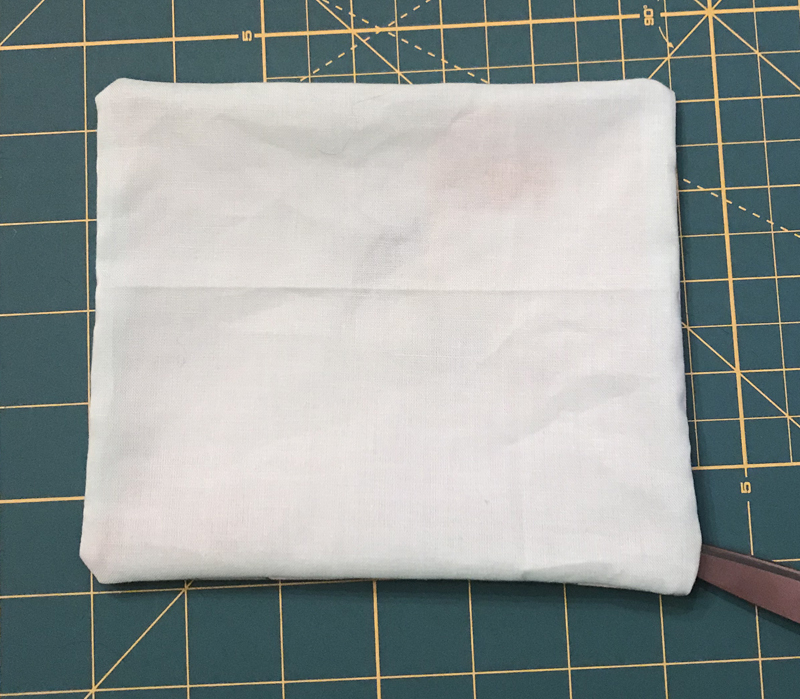 You don’t need interfacing, but I know I messed up on the forgetting to turn something inside out again step so just go slow until you get into the groove of the pattern. I also made it hard by adding the tab (which I messed up like 3 times, lol) so don’t to that until you’ve made it once the normal way unless you’re more skilled then I am, lol. I’d give it 5/5 bobbins again. Great little pattern.